Minnesota is home to nine schools that offer master's-level communication programs. With several online degree programs and the ability to focus studies in various areas including healthcare, technical communication, communication law, public relations and many others, a master's degree is within reach for anyone with career aspirations in communications in the state of Minnesota. Major employers in Minnesota include a number of healthcare agencies, companies, and hospitals, with healthcare employment an estimated 11 percent of total employment in the Twin Cities. In addition to healthcare, major industries in Minnesota that may offer employment opportunities for expert communicators include information technology, retail, financial services, and professional services. Metropolitan State University offers a Master of Science in Technical Communication program on its campus in St. Paul. What to Know: The Master of Science in Technical Communication program is a 32-credit hour program that includes advanced training in the theory and professional practice of technical communication. Students also have the opportunity to earn a certificate in Design of User Experience or in Project Management. What Does It Cost? : Graduate level tuition for the 2018-2019 academic year is $227 per credit hour for Minnesota residents and $464 per credit hour for non-residents. Anything Else? : The application deadline for enrollment in the fall is June 1, October 1 for the spring and March 10 for the summer. Minnesota State University in Mankato offers two master's-level communication degrees that can be completed online or on-campus. What to Know: The Master of Science in Communication & Composition program is designed for students interested in teaching communication and composition at community and technical colleges. The Master of Art in Technical Communication prepares students for doctoral studies, teaching opportunities, and for careers as information developers, technical writers, and editors. What Does It Cost? : Graduate level tuition and fees for the 2018-2019 academic year is $4,090 per semester for residents taking courses on campus. Online students pay in-state tuition plus $36 per credit hour in online fees. Non-residents taking courses on campus pay varying tuition rates, which can be found online here. St. Cloud State University offers a Master of Science in Mass Communications - Strategic Media Communications program in an on-campus format. What to Know: The Master of Science in Mass Communications - Strategic Media Communications program includes coursework in multimedia technology, media convergence, advertising and public relations to prepare students for careers in strategic media communications in a wide range of industries. Students also have the opportunity to gain hands on experience by working at St. Cloud State's 24-hour radio station, campus newspaper, or HD television studio. What Does It Cost? : Graduate level tuition and fees for the 2018-2019 academic year is $4,110 per semester for Minnesota, Wisconsin, North Dakota and Manitoba residents, and $5,974 per semester for non-residents. Anything Else? : The application deadline for admission in the fall is July 15, and November 15 for admission in the spring semester. The University of Minnesota in Minneapolis offers four options for master's in communications programs, including a Master of Arts in Mass Communication, Professional Master of Arts in Strategic Communication, Master of Arts in Health Communication and a dual MA/JD degree in Communication and Law. What to Know: The Master of Arts in Mass Communication program allows students to tailor their studies within several broad areas, including public relations, journalism, international mass communication, advertising, communication law and others. The program culminates in a thesis and a comprehensive examination. The Professional Master of Arts in Strategic Communication is designed for communication and marketing professionals who are working full-time, and the program is completed in two years of study. The Master of Arts in Health Communication program combines strategic communication principles with the field of public health to teach students how to be effective health communicators. The M.A./J.D. in Communication and Law program provides students with a background in mass communication law and students earn a law degree simultaneously with their master's degree. What Does It Cost? 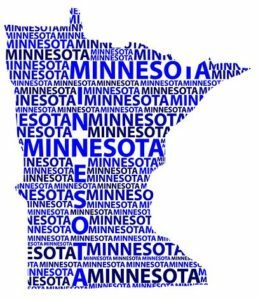 : Graduate level tuition for the 2018-2019 academic year is $1,422 per credit hour for part-time students who are residents of Minnesota, and $2,201 per credit hour for part-time students who are non-residents. Tuition for the 2018-2019 academic year for full-time students is $8,532 per semester for Minnesota residents and $13,206 per semester for non-residents. Anything Else? : The application deadline for the M.A. in Mass Communication program is January 15 for the fall semester. The priority application deadline for the Professional M.A. in Strategic Communication is May 15 for admission in the fall. The M.A. in Health Communication program begins in June, and the application deadline is February 1. The dual degree program has a rolling application deadline until March 1 for the following fall. Concordia University - St. Paul offers a fully online Master of Arts in Strategic Communication Management. What to Know: The Master of Arts in Strategic Communication Management is a 36-credit hour program that is designed for busy professionals who have career experience or interest in corporate communication, public relations, strategic planning or other communication management fields. What Does It Cost? : The tuition for the Master of Arts in Strategic Communication Management program for the 2018-2019 academic year is $475 per credit hour. Anything Else? : Classes meet one night per week online or on the campus in St. Paul, and courses are completed in 7 weeks. Both graduate-level communication programs at Minnesota State University in Mankato can also be taken online. For more information on the Master of Science in Communication & Composition program, click here. For more information about the Master of Art in Technical Communication program, click here. Walden University based in Minneapolis offers an online Master of Science in Communication degree program. What to Know: The Master of Science in Communication program prepares students for careers in marketing, public relations, digital media, social media or corporate communication. What Does It Cost? : Tuition for the Master of Science in Communication program in 2018 is $785 per credit hour plus $185 per semester in technology fees. Anything Else? : Applications are reviewed on a rolling basis, and students typically complete the program in 21 months.